Redco FRP Grating provides durability with extremely high strength and stiffness. Due to its high load capacity it can be used with confidence in structures where high load and wide support spans are required. Redco FRP Grating is also lightweight (80% lighter than steel), corrosion resistant, and non-conductive making it ideal for applications where electrical current or chemicals may be present. 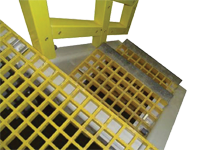 Redco FRP Grating is low maintenance and has a low cost of installation. and REDCO™ Molded Fiberglass Grating and Stairs. 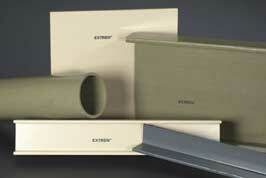 EXTREN® is a proprietary combination of fiberglass reinforcements and thermosetting polyester or vinyl ester resin systems. EXTREN® is produced in more than 100 standard shapes and all shapes have a surface veil to protect against glass fibers penetrating the resin surface in service and to increase corrosion and UV resistance. Grades available: Series 500 (all purpose), Series 525 (fire retardant), and Series 625 (fire retardant and highly corrosion resistant). Fiberglass gritted plate is a tough, corrosion resistant floor plate. SAFPLATE®‘s unique combination of pultruded fiberglass plate and an anti-skid grit surface creates textured solid sheet flooring that is ideal for both wet and dry environments. SAFPLATE® is widely used for: Walkways, Splash Walls, Overpasses, Bridge Decks, Pool Decks, Trench Covers, and Odor Control Covers. Redwood Plastics and Rubber offers both industrial and architectural handrail systems for your project. Strongwell also offers architectural handrail and fencing systems. Both STRONGRAIL® and Custom architectural handrail and fencing systems are a strong and attractive solutions to your structural needs. Redco™ FRP textured wall panels are ideal for food processing plants, hospitals, restaurants, even car washes. 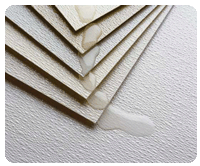 FRP sheet is easy to clean and keeps drywall from getting wet and damaged – no mold or fungus growth in wet environments. DURADEK®, DURAGRID®, DURAGRID® Heavy Duty, DURAGRID® Phenolic, DURAGRATE® molded fiberglass grating, DURATREAD™, and EXTREN® are registered tradenames of the Strongwell Corporation.